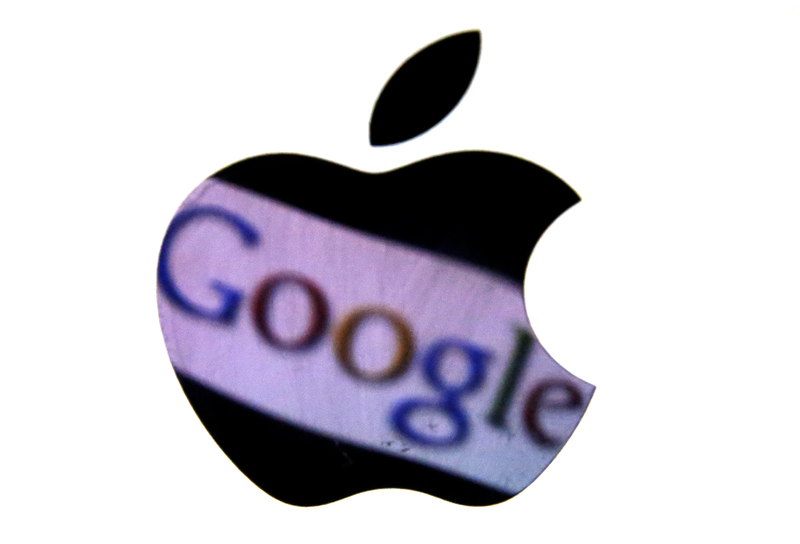 Apple may bury the hatchet with Google – just not quite yet. It’s no shock their chiefs, Tim Cook and Larry Page, are talking. The iPhone maker’s sweeping U.S. patent win over Samsung is a blow to the search giant, too. But the rivals’ clashing business models make peace difficult. The court filings read Apple v. Samsung, but the target was really Google. That’s because an unprecedented 68 percent of smartphones – largely Samsung’s – that shipped in the second quarter ran on Google’s Android software, according to research firm IDC. Apple’s iPhones garnered only a 17 percent market share. Steve Jobs, the late Apple founder, insisted that Android included “stolen” features, and his successors have pursued that line in more than 50 lawsuits against smartphone makers in 10 countries. The suits don’t name Google, perhaps because damages are simpler to win against consumer products vendors. The strategy paid off last week, when a California jury awarded Apple $1 billion for Samsung’s infringement of U.S. patents, including some involving Android features. That may have intensified Page’s dialogue with Cook. But a deal needn’t be imminent. Apple sells elegant devices at a high profit. Google makes money from advertising, and essentially gives Android away as a means to that end. Both companies’ success could make compromise unpalatable. And Apple, for now, is winning. Though not as one-sidedly as in California, courts worldwide have found Android-based devices violate the company’s patents. And the iPhone maker is targeting the software in another case before the judge who presided over its Samsung victory. Agreeing peace with that kind of battlefield advantage would make Sun Tzu turn in his grave. But outright victory is no certainty. Samsung recently nicked the Cupertino-based company in cases in Japan and Korea. U.S. Judge Richard Posner all but laughed Apple out of court in June. Even the California judgment could be vulnerable on appeal. There’s also a question of cost. News reports suggest Apple spent tens of millions of dollars on the Samsung case alone. That’s peanuts for a $625 billion company. But at some point, settling the fight from a position of strength will be Apple’s best option. Apple Chief Executive Tim Cook and his Google counterpart, Larry Page, are discussing their companies’ patent disputes and other intellectual property matters, Reuters reported on Aug. 30. The CEOs spoke by phone last week and are expected to talk again soon, while lower-level officers are also holding conversations, according to Reuters. On Aug. 24, a U.S. jury awarded Apple $1 billion after finding that Samsung smartphones and tablets infringed the iPhone maker’s patents. The Korean company’s devices run Google’s Android software, which has become the world’s most commonly used smartphone operating system. Apple’s legal fights with Samsung around the world are widely viewed as a proxy for rivalry between Apple and Google. Samsung has won several small patent victories against Apple, including an Aug. 31 Japanese court ruling that the Korean company’s Galaxy smartphones and tablets did not infringe on an Apple patent. On Aug. 24, a Korean court decided that Apple had violated two Samsung patents, while Samsung had violated one of Apple’s.